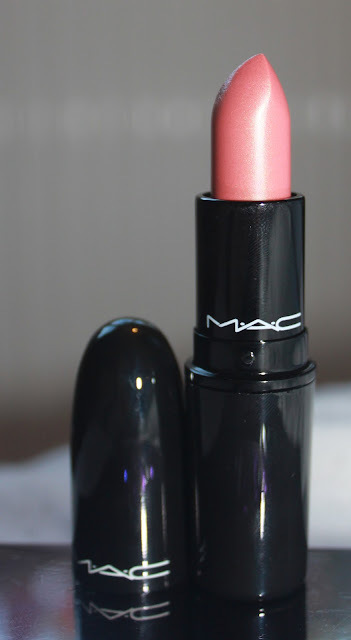 This gorgeous colour is from the Mac Glamour Daze collection. 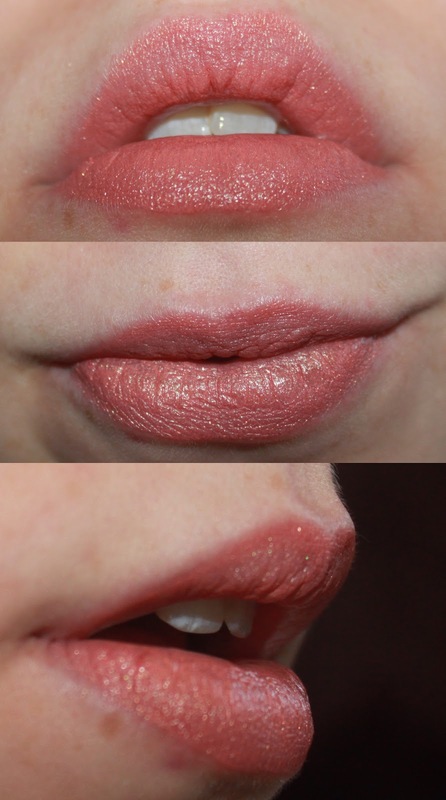 This coral shade looks stunning on the lips, with gold shimmer, and iridescent pink and gold glitter. This looks lovely on the lips, not too heavy, but still feels creamy. The colour is a frost finish which means it has shimmer and shine, and as you can see, it really does!! I really love this colour, and I was lucky to get the Limited Edition shade called Innocence as it's hard to find now - All thanks to my boyfriend. He chose well! It really looks lovely on the lips, and feels lovely too - And lasts ages!! Another winner from Mac. Unfortunately you can't get this colour online or in stores at the moment, and the best bet is Ebay, although be careful for fakes. Overall, I loved this colour and I have no faults with it. A very well deserved 9/10 from me. Look below for swatches, and click to zoom. Thank you so much for reading!